Hello, Bloggers, welcome to another episode of Tribute To The Fallen where I discuss films that weren't nominated at the Oscars and go into why I think they should've gotten recognition. 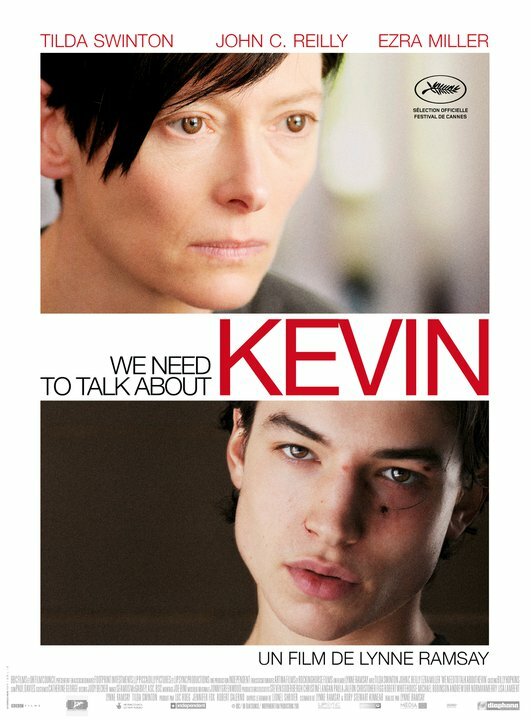 Today's film is the 2011 dark "killer child" drama We Need To Talk About Kevin. Now, those that have seen the film know that it is pretty easy to figure out why, even though Tilda Swinton came very close for a Best Actress nomination, it was entirely shut out. Much like Shame, it is very grim and cynical. It deals with a mother who resents her child, who grows up to become a sociopath. Voters like their mothers and children to be nice. While they did nominate Linda Blair for The Exorcist, she was still playing a possessed victim. But this film is quite the opposite of a film like Extremely Loud and Incredibly Close, which deals with a more sympathetic kid raised by likable parents played by likable movie stars. Bigger emphasis on likability. When films like this get snubbed, it has us asking questions like "Should we recognize the best pieces of filmmaking, or do we choose the most sympathetic, when picking the best films of the year?" I mean, Extremely Loud and Incredibly Close was a well-intended movie and it aims to tug at the heartstrings, but it doesn't mean it's automatically amazing. Not only do I think it deserved a Best Actress nomination for Tilda Swinton, but also Best Director for Lynne Ramsay and even Best Cinematography for the scenes where they incorporate the red color palette, in particular. There is also Best Adapted Screenplay as well and possibly Best Supporting Actor for Ezra Miller's creepy depiction of the older Kevin. Even if it wouldn't make my Best Picture, I would still recognize it almost across the board. So those are my thoughts on why I think We Need To Talk About Kevin deserved Oscar love. Whether you agree or disagree, please feel free to write your thoughts in the comments section. Thanks for reading! Topic Of The Day: Why The Struggle?